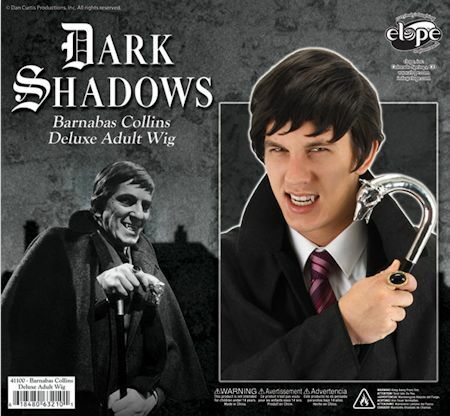 EL130130 - Barnabas Collins Deluxe Adult Wig - Dark Shadows Officially Licensed Costume Product. 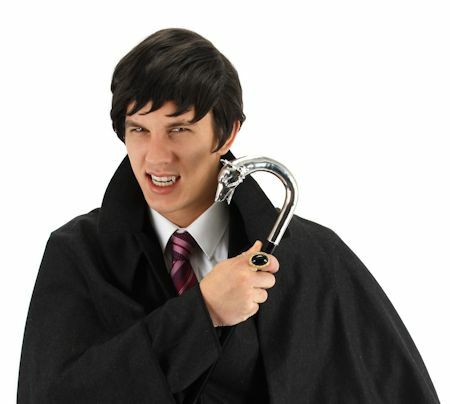 Dark Shadows Barnabas Wig Recreate the vampire, Barnabas Collins, from the cult classic gothic soap opera Dark Shadows. Features: Dark brown wig with 4-pointed bangs. Mesh lining. Available Sizes: Fits adults with 56-59cm heads (22.5 in) Please note we cannot accept wigs for return unless they are in their original packaging, unopened, and sealed.